The Gay and Lesbian Student Union (GLSU) was a student organization at Old Dominion University (ODU) dedicated to raise awareness for the gay and lesbian communities on campus. 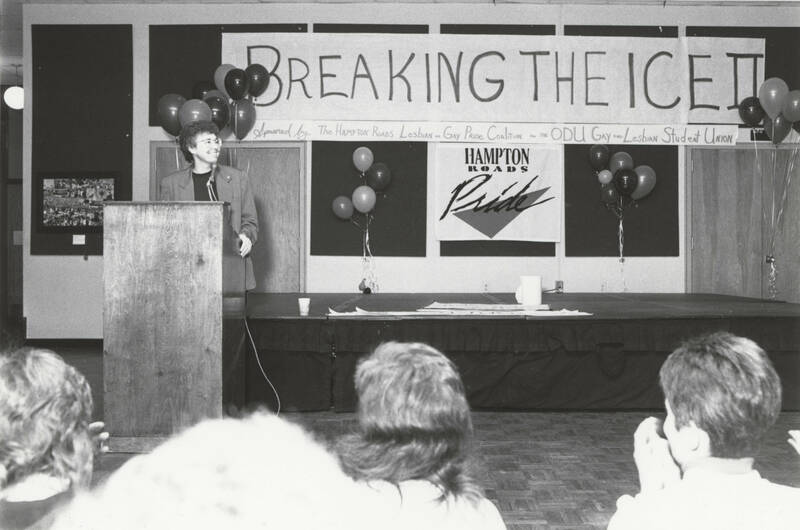 The Gay Alliance, an organization founded in 1977, was the first organization at ODU dedicated to raising awareness of LGBTQ issues but was not an official student organization. In the early 1980s, gay and lesbian students met at a weekly support group held at the university’s Campus Catholic Ministry. The GLSU was established in 1988 as an official student organization. Some of the events the group held included a National Coming Out Day social, a Shattering the Myths campaign to break stereotypes surrounding the LGBTQ community, and the annual Breaking the Ice Gay Pride Festival sponsored by GLSU and the Hampton Roads Gay and Lesbian Pride Coalition (later Hampton Roads Pride). In order to be more inclusive of other members of the LGBTQ community, the group changed its name in 1993 to the Gay, Lesbian, Bisexual Students and Allies (GLBSA), again in 2002 to ODU Out, and most recently in 2018 to Old Dominion University Sexuality and Gender Alliance (ODUSAGA). Today, the organization works closely with the Office of Institutional Equity and Diversity and the Office of Intercultural Relations on programs and events that foster diversity and inclusion at ODU. Old Dominion University Gay and Lesbian Student Union (GLSU) Records, Special Collections and University Archives, Patricia W. and J. Douglas Perry Library, Old Dominion University Libraries, Norfolk, VA 23529. Old Dominion University Photographic and Multimedia Collection, Special Collections and University Archives, Patricia W. and J. Douglas Perry Library, Old Dominion University Libraries, Norfolk, VA 23529.